Despite the fact that Congress passed, and Obama signed, a law to prohibit the giveaway, the National Telecommunications and Information Administration’s (NTIA) recently announced a decision to proceed with the Internet giveaway in violation of a congressional prohibition against doing so. Our friend Frank Gaffney of the Center for Security Policy called the move, “President Obama’s wrecking operation” to end America’s effective control over internet domain names. By relinquishing to the likes of Russia, China and Iran the management of ICANN – a bureaucratic mechanism that assigns what amount to website addresses – U.S. government agencies, other users and internet freedom are sure to suffer, said Gaffney. “The NTIA should not take another step towards transitioning the Internet Assigned Numbers functions to the Internet Corporation for Assigned Names and Numbers. They are using prohibited funds right now that block the transition this year, violating federal law. That is because it is not only illegal to violate federal law, but to plan to violate it. These are reasonable grounds for Congress to ask a federal judge to enjoin NTIA from any further action, pending full hearing of the case. “NTIA’s breaching of law to go forward with the Internet giveaway has been the subject of letters from House appropriators and the House and Senate Judiciary Committee Chairmen. These are serious charges. There would be little question of their standing to sue, as there is ample precedent for Congressional access to federal courts. In other words, Congress ordered NTIA not to let lapse the government contract under which the IANA function—essentially the Internet’s phone book—has been run by a private California non-profit since 1998. Failure to renew this contract before the end of August would, according to the NTIA, allow the Internet Corporation for Assigned Names and Numbers (ICANN) to take over management of the IANA function. 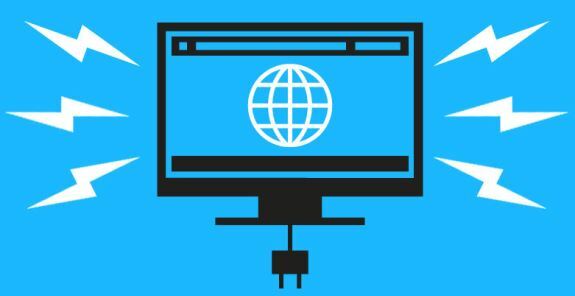 This “Transition” would end the U.S. government’s historic role as a guarantor of Internet governance. Of course the problem is that fighting and winning the battle to maintain the freedom of the internet is that it depends largely upon the willingness of House Speaker Paul Ryan and Senate Majority Leader Mitch McConnell to stand up for Congress’ Article 1 constitutional power, and they have proven totally unwilling to do so when Obama has ignored Congress in the past. We urge CHQ readers to contact their Senators and Representative (the Capitol Switchboard is 1-866-220-0044) tell them that they must demand that House and Senate Republicans defend their constitutional role and Internet freedom by renewing the prohibition against giving away the Internet and if necessary going to court to stop it.